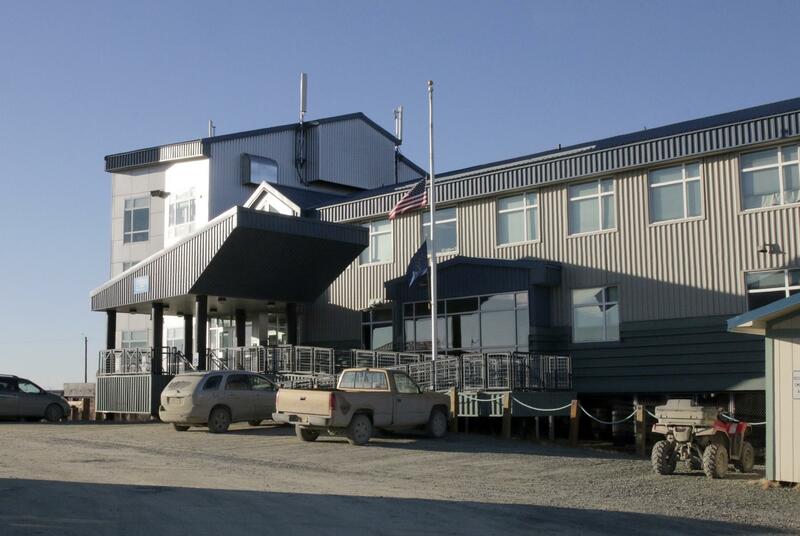 Students enrolled at the Kuskokwim Learning Academy, a Bethel-area alternative boarding school, were found to be cheating on their computer-based math curriculum. The problem was discovered after many students were tested in the fall and found to be below the pre-algebra level. The school’s new site administrator, Walt Betz, says that September’s test scores were terrible. “We thought ‘well, maybe the kids just weren’t testing well,’ but then we looked at other kids’ scores over a long term period and noticed that students would come into our school with higher math scores than after they’d been here for a year,” Betz said. The Kuskokwim Learning Academy, or KLA, is the only alternative boarding school in the Lower Kuskokwim School District. Its mission is to “act as a dropout prevention program emphasizing alternative education practices.” In other words, it’s the last stop before dropping out for students in trouble. The school has 65 enrolled students, but no actual math teacher, so mathematics is taught by computer. Students would spend an hour a day being instructed by a system called ALEKS, then they were free to finish the work on their own. It turns out that this system wasn’t working out so well, Betz says. “It was commonplace for kids, when they got something they didn’t understand, that they would just Google it, and then it would show the answer, and then they would put the correct answer in the ALEKS question. And I think that was pretty widespread,” Betz said. This meant that students appeared more competent than they actually were in courses like Algebra and Geometry. As recently as last year, students were receiving credit for classes that they had no mastery in, and were able to graduate based on their ALEKS math test scores. It took the administration a while to figure this out, in part because in the past year, five of KLA’s nine staff members left the school. “There was, like, a combination of discoveries because we had this huge turnover of staff, and most of the people doing the math weren’t here anymore. And most of the people running the program weren’t here anymore. And so it was a real steep learning curve, and it took a while for us to uncover all of these elements that were contributing to these low scores,” Betz said. The problem may have existed since 2015, Betz says, when the Kilbuck School fire forced the school to move onto the Yuut Elitnaurviat campus. “Whenever there’s a catastrophe like a fire, or something like that, it takes time to regroup because it’s a certain shock that teachers and students go through. And I think, finally, the air just started to clear this year and see the road ahead,” Betz said. Last week, Betz told the LKSD school board that he hopes to address the situation by increasing the schedule to four math classes per semester and moving to a video teleconference system that’s used by many other schools in the state. Betz says that the system has been difficult to set up at the school’s new location, but with the district’s help he’s looking forward to offering teleconference classes in Pre-Algebra and Algebra 2 this spring, and Algebra 1 and Geometry in the fall.